The firm operates in both the personal and commercial areas of insurance, helping both small business owners with their commercial insurance needs, and families with their individual insurance needs along with retirement and income planning. The desire of BVIIG is to bring the best and most cost effective risk management techniques available to our clients, while recognizing that every risk management scenario is unique. The firm realizes that neither one company, nor one cookie cutter product can satisfy all of the specific needs for every individual client. For that reason, we are associated with numerous companies as an independent agency with “no axe to grind,” offering a variety of competitive products available through some of the most recognizable names in the industry. 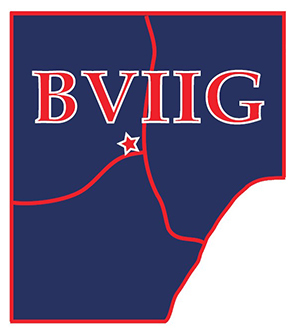 BVIIG prides itself on meeting the needs of its clients with solutions that are researched through many hours of due diligence - whether it is liability, auto, home, life insurance, or annuities. We can answer your questions on whole life, term life, index products and variable life products offered through Lincoln Financial Securities Corporation. We offer products through many and various companies using our “no axe to grind” philosophy as previously mentioned because we have found that most people are over premiumed, underinsured and underserved, and mostly ignored and taken for granted by their companies and/or their agency. Call now and let us help provide the peace of mind that you deserve and lighten your load but not your wallet. Beaver Valley Independent Insurance Group LLC | Website Development by EZLynx® • Copyright © . All Rights Reserved.